Cruise along with the Millennium Falcon! Join Han Solo on a daring rescue mission. Use your very own Millennium Falcon to follow Han on a ride of his lifetime. He saves the Ithorians from the clutches of the evil Empire. 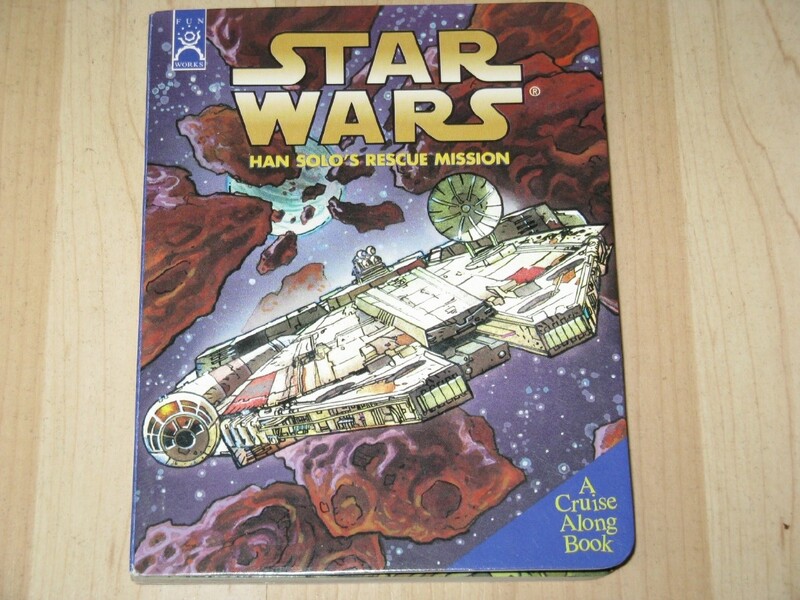 A Funworks (TM) Cruise-Along Board Book, this particular title will be a big hit with toddlers and even preschoolers, especially if they have older brothers or sisters who regularly watch the Star Wars TV shows, or are into collecting Star Wars action figures. Finally, here's a way to involve the whole family in the exciting universe of space exploration!